Origami Books, named after the Japanese art of folding paper into intricate three-dimensional objects, is a specialised publishing imprint of Parrésia Publishers Ltd. It publishes all genres of writing, including textbooks and other customized books, for clients interested in self-publishing with an emphasis on quality editing, superior aesthetics and world class production. Under Origami, clients are offered our editorial, design and publishing expertise in putting together their projects. Origami is specifically tailored to cater to the needs of authors who know the benefits of self-publishing and desire full control over the publishing process. 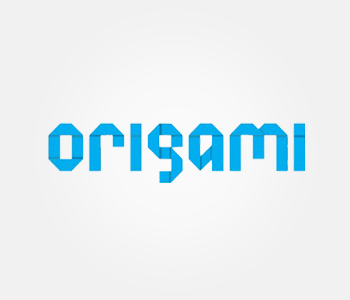 Origami is committed to providing quality and comprehensive publishing service to potential and existing clients. We imbibe art and top-notch graphics to make your publication appealing. We ensure the best of print technology for an classy look & feel of your publication. Would you like to self-publish your book under a specialised publishing imprint, be guaranteed of all round quality, distribution and marketing, and then fold your hands to receive at least 30% royalties on your books? Nationwide Distribution via our Bookshops and Bookstores and other national channels. 6-month intensive Marketing comprising 4 public readings, 5 local newspaper interviews [alternated] or reviews, 20 online blog posts/ interviews /reviews. Interested Book Clubs will be approached to use the text as a monthly reading. Marketers in Special Markets focus on getting large orders for schools and suitable institutions with the necessary discounts. Entry into any literary prizes for which the book is eligible at no extra cost. Royalties Accounting every 60 days. 10 complimentary copies to the Author. The Origami Marketing System is available only to books published under the Origami Books imprint.